For Yamaha motorcycle Saddlebags, choose from a variety of saddlebags available. Whether you want to have hard bags or stylish soft saddlebags. 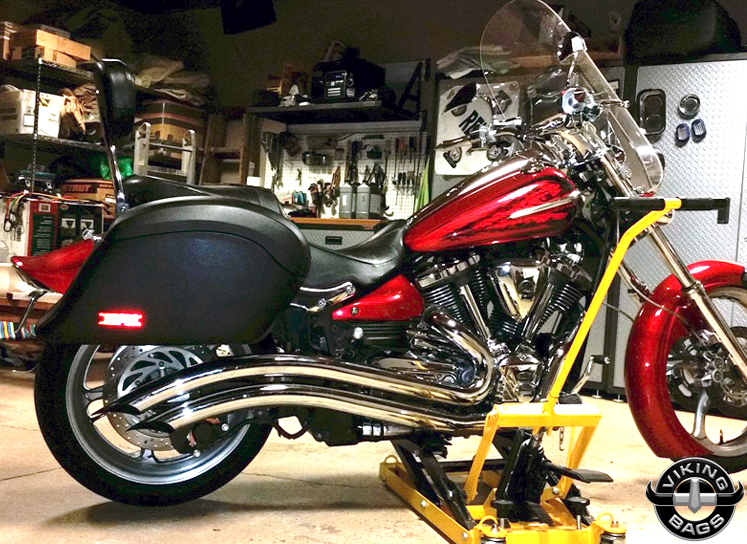 As industry leaders in the Motorcycle Luggage industry, we were the first to bring innovation like locking saddlebags. 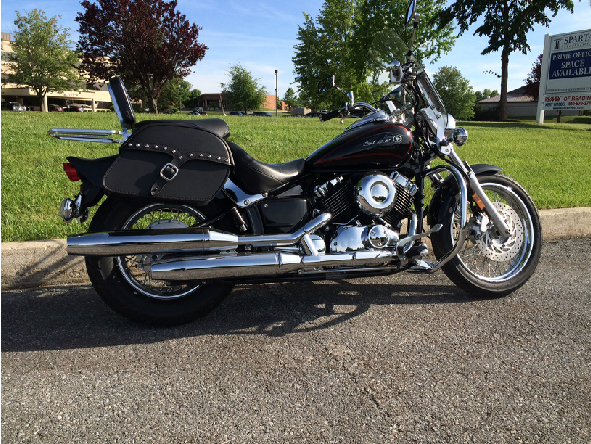 Our Saddlebags have integrated ABS hard shell to ensure no sagging and structural integrity. 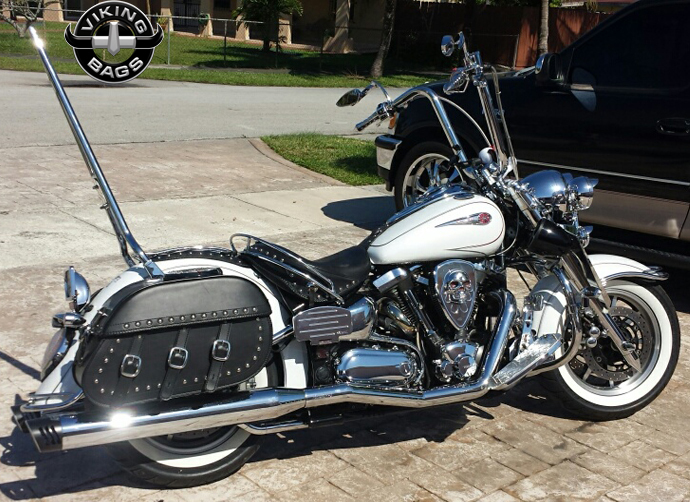 Get your Viking saddlebags today and prepare for an epic road trip. 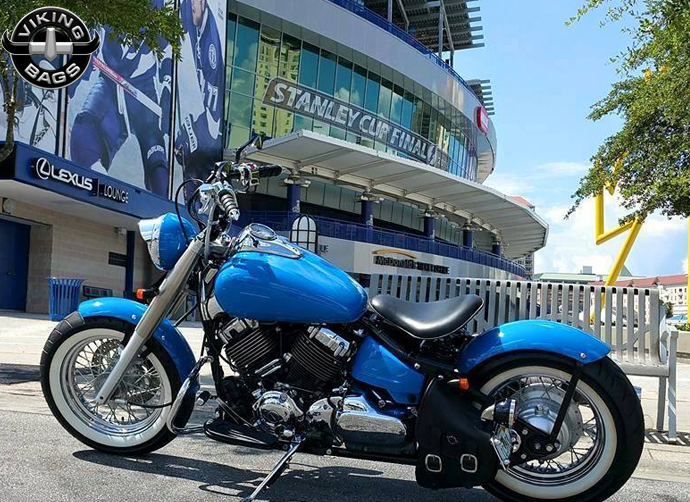 Choose from throw-overs to quick disconnect systems, we have many ways for you to mount your Yamaha saddlebags. Worry less and just enjoy the motorcycle ride. Viking Bags' lineup of Yamaha saddlebags is built using the same experienced innovation that goes into the company's other luggage compartments, giving riders the ability to choose between a number of different bags for multiple purposes. We understand Yamaha owners' need for a resilient saddlebag that also looks great, therefore we feature these Viking Bags for the sole purpose of catering to a wide range of different riders. Each of these saddlebags might feature a number of different features and uses, but all are constructed with the same understanding of high quality and attractive design. Before diving head first into our collection of saddlebags, you should understand what makes these products stand above the competition. Vikingbags.com offers the best Yamaha Saddlebags for Yamaha Motorcycles. 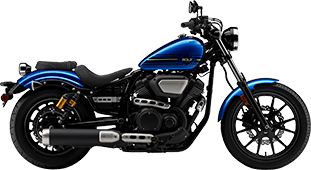 We offer Yamaha bags specifically for Yamaha V Star, Road Star, Virago, Raider and Startoliner models and a variety of looks and sizes. 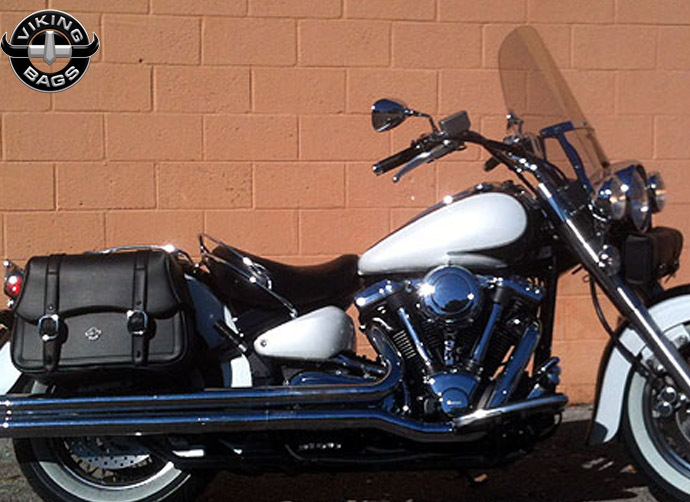 Our Yamaha Saddlebags are durable, reliable and easy to mount. Customers who have purchase a Yamaha Motorcycle luggage bag will receive a free set of mounting hardware. Many of the Viking Yamaha saddlebags we offer in our online inventory are manufactured with long-lasting synthetic Viking leather. 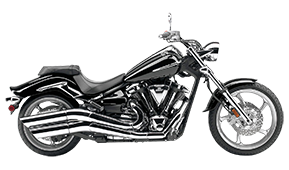 Our Yamaha motorcycle saddlebags come with chrome buckles and a free set of hard mount hardware. Each Yamaha saddlebag has a built-in hard body that will retain its shape for years without sagging. 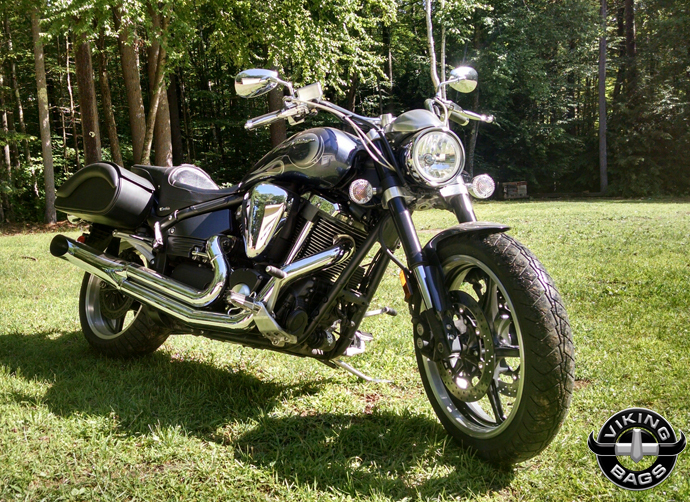 Our Yamaha bags are weather resistant and easy to clean. 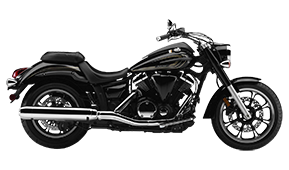 If you are looking for saddlebags for Yamaha motorcycles please visit us at Vikingbags.com because we offer the most advanced features and hardware. Before purchasing Yamaha motorcycle bags ensure that you are getting the best for your money. Every single Viking Yamaha saddle bag includes high quality stitching and rivets that ensures long lasting wear. Don't forget to order a matching Yamaha Tank Bag. Typically Yamaha bags are made up of synthetic Viking leather, which is an extremely durable material and easy to maintain. This leather makes the bags a favored choice for bikers who are mostly on the road and have to undertake long distance trips every now and then. However, many of the Yamaha saddlebags you'll find in our catalog here are perfect for daily commuters, as well. Store your extra riding gear, briefcase, tool kit and anything else you may need for the day right in the saddlebags. The benefits of carrying these saddlebags also apply to all cruiser motorcycles where the rider is able to carry coats, protective gears, bags etc. for long motorcycle trips. No matter which saddlebag you select for your Yamaha motorcycle, you should understand that many feature the same key ingredients to make a strong Viking bag. For instance, chrome buckles, a built-in fiberglass hard body, interior pockets and organizational kits to keep your personal items stowed safely and securely. 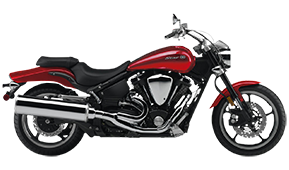 With so many choices available for the different Yamaha motorcycles, it's nice to know that Viking stays consistent throughout each of their saddlebag models. That's just one more step that Viking takes to ensure that riders are properly outfitted on their journeys. 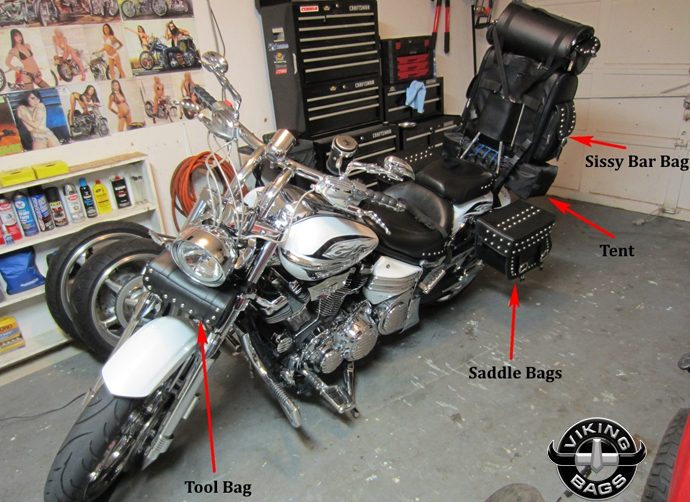 These Viking Bags were designed specifically to mount easily on your motorcycle, no matter how experienced the rider might be with the mechanical side of motorcycles. Easy-to-read instructions come with every pair of Yamaha saddlebags, and there are a variety of different ways you can hang your saddlebags. With a free mounting hardware kit – saving buyers $100 – there's no need to seek out any other hardware or tools. 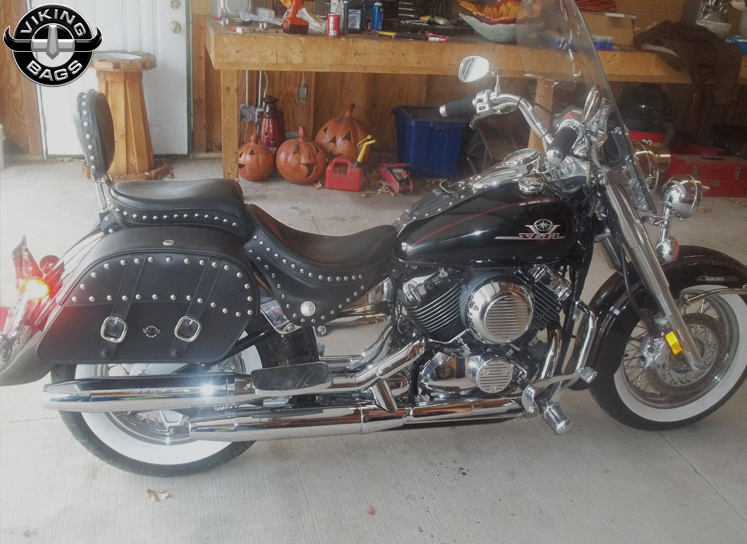 We want all riders to feel as if they can quickly mount these saddlebags and spend less time with maintenance and spend more time on the road. From the waterproofed exterior to the thoughtful, airtight closure of the Yamaha saddlebags' lid system, riders can worry less about their contents and focus on the road. A unique locking mechanism is included with every model bag. It doesn't matter which model you prefer, because you can be sure that the contents inside are locked away for convenient storage. Theft can be found almost everywhere, and Viking makes it easier to lock away your goods and access them when needed. These key features are what make Yamaha saddlebags from Viking stand out from the pack. We're very confident that you'll love your new Yamaha saddle bags selection, and we want to remain in contact with you, even long after you've purchased from us. You can buy confidently online knowing that we offer a 30-day return policy on all of our Yamaha bags. Whether you want a full refund or need to exchange your saddlebags for a different pair, we'll help sort you out so that you're all set and ready to ride. That's our promise to you, because we aren't happy until you are! And voila! Your new saddlebag from VikingBags is ready for use.